Everyone's hopping on the whole neutral eyeshadow palette bandwagon lately and this new palette from Anastasia is one more to add to the growing list. 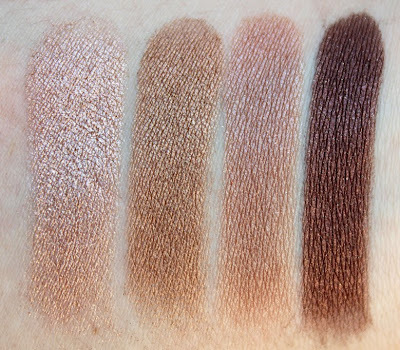 The Fall 2012 She Wears It Well palette is a set of nine neutral shadows (five metallics, one shimmer and three mattes) plus a full mirror and double-ended eyeshadow brush. The palette features a black faux-crocodile material on the exterior with nine eyeshadows, a large mirror (handy for travel or midday touchups) and a fairly decent double-ended eyeshadow brush on the interior. 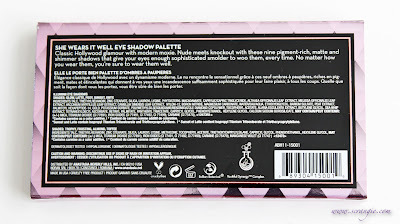 The shadows on the left side of the palette are all shimmery, shiny metallics. The big shadow in the center, Sunset, also has a shiny metallic finish. 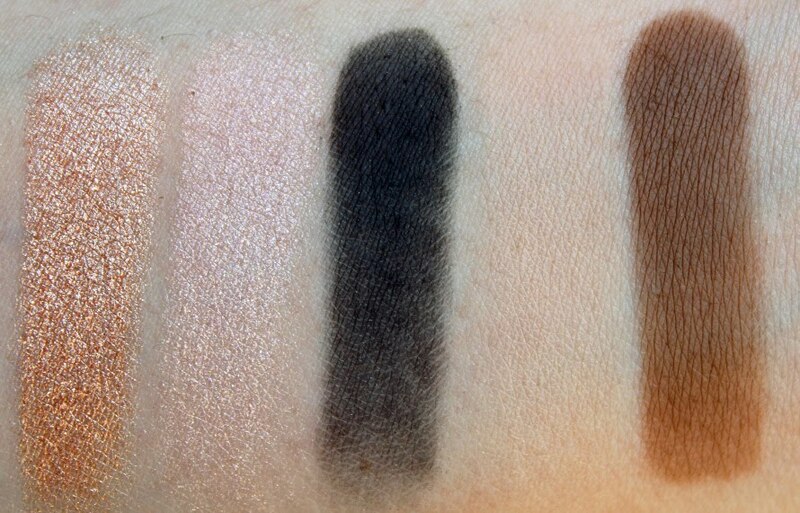 The shadows on the right are smooth, creamy mattes with the exception of the Frosting shade, which has a slight shimmer to it. 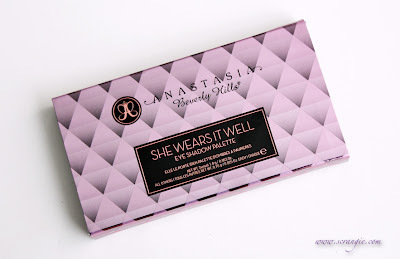 Anastasia She Wears It Well Palette, left side, direct sunlight. I took this sunlight picture to show the pretty metallic sheen and sparkle that the shadows on the left side of the palette have. It's not chunky or glittery, but it is shiny. Here's a look I've been wearing using this palette. 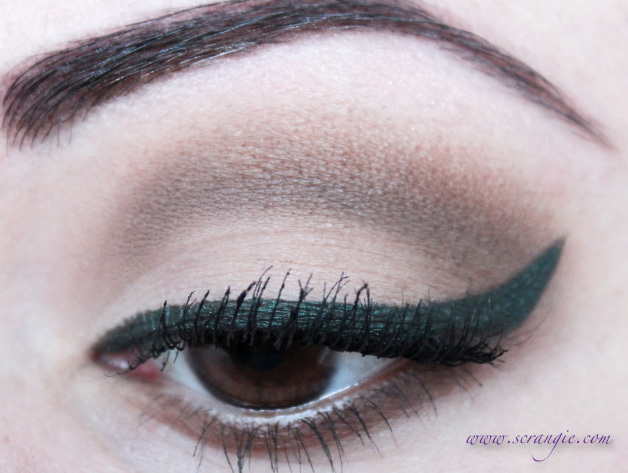 It's Almond on the lid, Toffee in the crease and on the lower lashline and just a little dab of Onyx to darken the crease color. 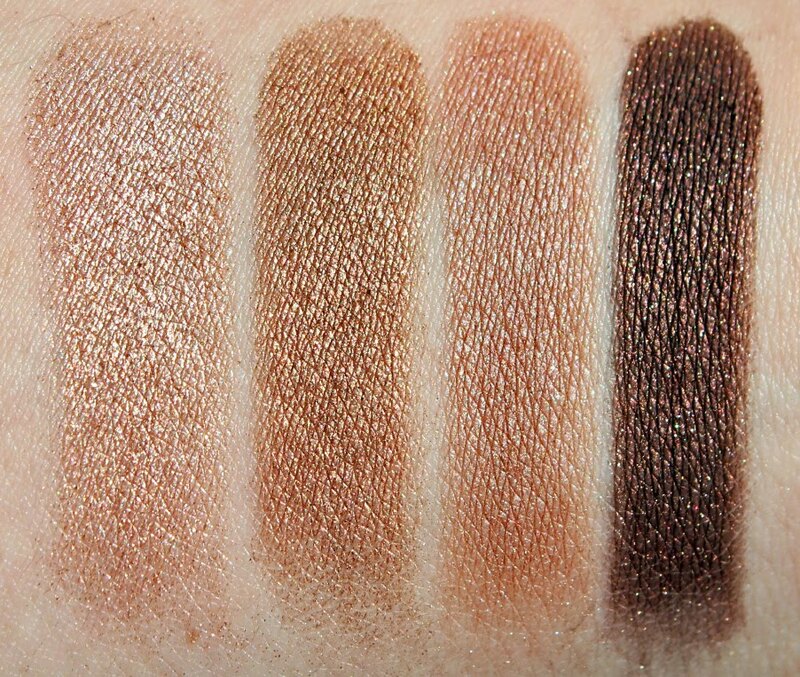 The mattes in this palette are very nice. Normally I shy away from mattes because they tend to be chalky, patchy, streaky and difficult to blend, but these were all fantastic. They're a little powdery, but it's a soft-powdery not a gritty-powdery. They felt soft and cool to the touch and applied smoothly without streaking or looking patchy. Impressive. The included double-ended brush can actually be used to apply the shadows; it isn't just a throwaway. It's not the best brush in the world (it's a little scratchy) and it wouldn't be my first choice, but it is definitely useable. The flat side is great for applying lid color and blending, the pointed side is good for applying a crease color and lining underneath the eye. Good selection of colors. There's dark colors, light colors, shimmery colors, matte colors, and none of them are excessively frosty once applied. 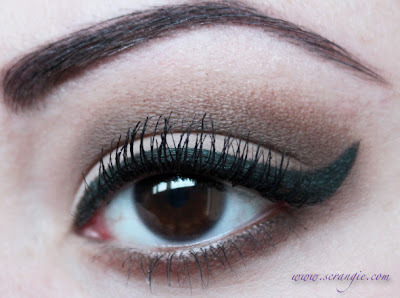 I like that there's a good dark crease color and a light, non-shimmery highlight color. That's always something I look for in an all-in-one palette. Fair price: $34 for the whole palette. 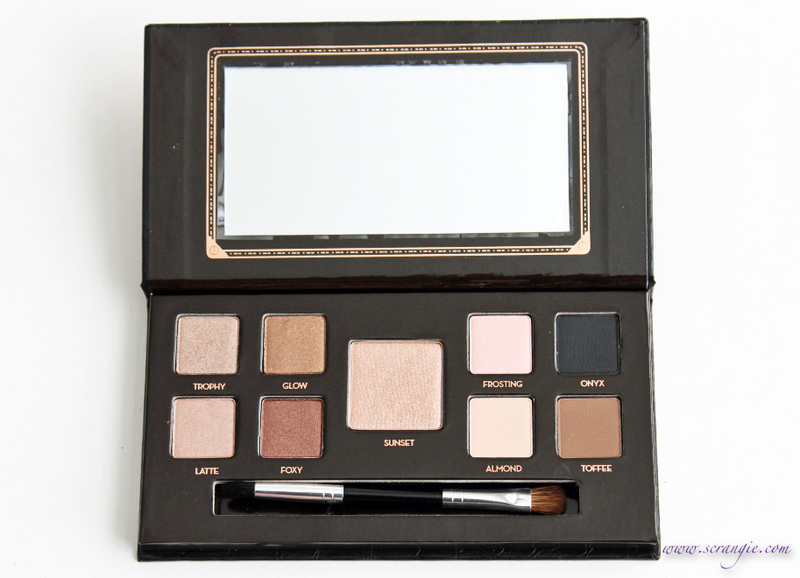 The palette is smaller and more compact than the previous palettes. 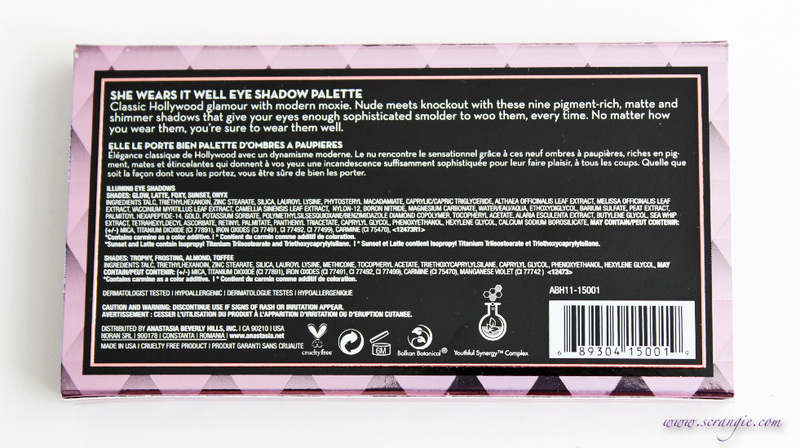 The older palettes had excessively large packaging and took up too much space for how much product was inside. This one is perfectly balanced. I wish the colors were just a little more neutral. Most of them read very warm against my skin. The eyeshadow stings and makes my eyes water if I get fallout in my eye. The colors fade and morph a bit over time, even with primer. Overall, I thought this was a great palette. The formula of all the shadows (the mattes especially) seemed even nicer than the formula in last year's holiday palette and the color selection in this is straightforward and easy to wear. On one side of the palette I have the shades to create a bronzed metallic eye and on the other half are the shades to make a matte neutral classic daytime eye. I spice it up a little with winged liner and massive amounts of mascara, of course, but if you prefer something more subtle you can just smudge some Onyx or Toffee or Foxy along the upper lashline instead. 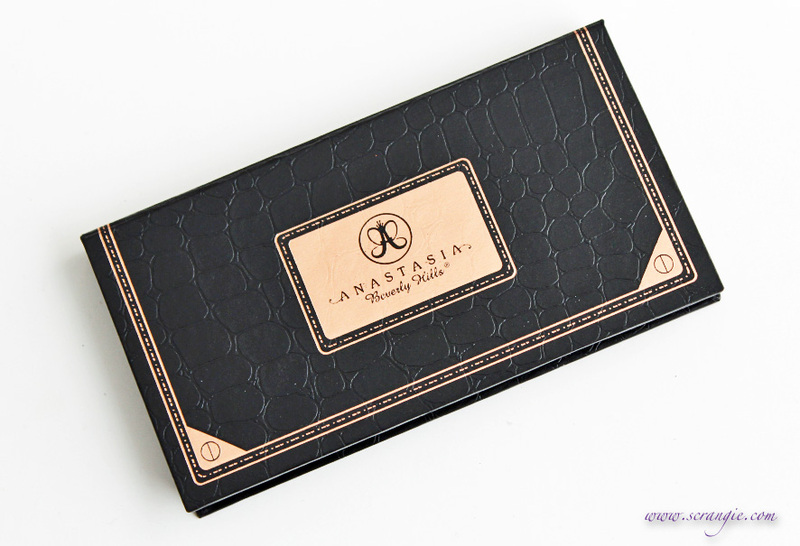 The Anastasia Beverly Hills She Wears It Well Palette is limited edition and currently available at Sephora, $34. these shades are so pretty!! !your lashes look so long~what lash curler did you use? You eyes always look so perfect! Eeek Stinging? I love those neutral colours! I think it looks amazing on you! A girl can't go without possessing some neutral colours! I've missed the eye makeup shots. I don't normally tend toward neutrals, unless they are cold toned and shimmery but I love what you did with this. It looks incredible on you. What a shame about the itchy eyes though. You lost me at stinging, I'm so paranoid about stuff hurting my eyes (bad experience once) so no way am I going near any of their eyeshadows. 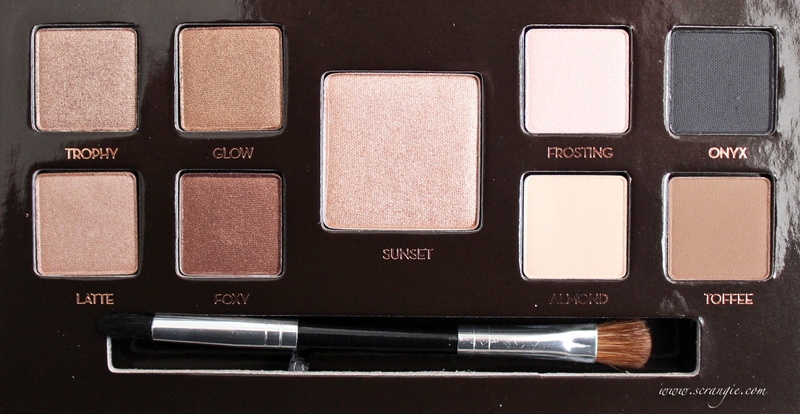 Gorgeous looking palette though. OMG your technique is stunning I wish I could be half as good as you! This has been nagging at me for a while, but am I crazy or does it seem like so much of eye shadow - especially neutrals and neutral-themed palletes - are aimed at warmer skin tones? This seems like another addition to something that's just too warm against my skin! Even if that wasn't an issue, the stinging thing is a deal breaker. i love your eyeliner technique! could you please say what the eyeliner was in this pic? Stinging eyeshadow? No good. This happens with my favorite NYX palette. I can only use it when getting ready at night. In the morning, my eyes are way too sensitive. It's the only NYX I have purchased because of the watery eye issue. What are you using on your brows? Amazing! !